If you missed a few of my blog posts, Dark Oak Press and Media has acquired the rights to The Elysian Chronicles: Out of the Shadows. This re-vamped, re-edited edition contains a few additions originally meant for an Out of the Shadows collector’s edition and a glossary & pronunciation guide. The hard covers and trade paperback are finally available! If you haven’t yet read Out of the Shadows, please feel free to read the sample chapter on Dark Oak’s website. Also, we know that many of you are waiting for The Elysian Chronicles: Book III. Please be sure to sign up for the Dark Oak newsletter so you won’t miss it or other books by M. B. Weston. 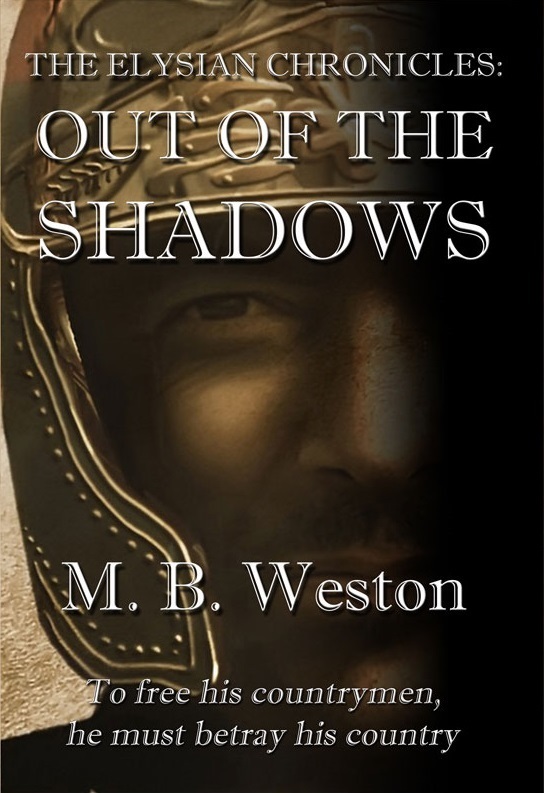 This entry was posted in Books & Works by M. B. Weston, News & Events, The Elysian Chronicles and tagged angel, author, Elysian Chronicles, fantasy, guardian angel, M. B. Weston, movies, Out of the Shadows, paranormal, radio, steampunk, warfare. Bookmark the permalink.